When it comes to the lifestyle decisions of others, I like to think that I’m generally a pretty accepting person. In fact, I’m so accepting that I’ve often been outright disinterested. I’ve never been overly intrigued or appalled by how anyone goes about their lives, no matter how far it lands on my spectrum of familiarity. Before I end up sounding completely apathetic toward others, I should mention that I’ve never been a fan of judgments cast upon others for their lifestyles. From a young age, I learned how being respectful of other people’s beliefs and practices can lead to a greater understanding of those people. I was taught by example that it was important to be a civil, respectful person in society. This philosophy, which I learned from parents and teachers alike, seems to have had a complicated effect on my personality. When it comes to other people’s lifestyle distinctions, I’m either too polite or too paranoid to make inquiries. We’ve likely all had awkward conversations with peers, colleagues, and even family members that entered ideological territory: the type of talk that switches from a harmless chat into a passionate, high-octane discussion about beliefs. Sides are taken. Morals are made clear. In situations like these, people can suddenly feel like they’ve learned more about each other in 30 seconds than they could have in a lifetime. While I’m not well-versed enough for a rant about “tribes” and identity politics, I do want to say that these types of exchanges have always made me feel uncomfortable. Being a “people-pleaser,” I’m never quite sure of how to respond when I find myself entertaining the perspectives of someone who I completely disagree with. Of course, healthy debate and discussion is absolutely necessary for progress on any topic; but when it happens outside of an appropriate forum for communicating these topics, things can quickly become personal. I am a proponent of being passionate and vocal about one’s beliefs, and I admire those who are unwavering with their positions. However, I’m just a tad too timid to engage with strangers on that level. To my own disadvantage, I remain mostly uninvolved, preferring casual conversations and keeping my private opinions exactly as they are labeled. When it comes to such opinions, I like them to stay out of your bedroom, your ballot box, your medicine cabinet—and now—out of your refrigerator. Recently, I’ve noticed that a particular type of ideological battle has been appearing more prominently on social media feeds and in casual conversation: The Diet Wars. In summer 2018 I decided to try the Ketogenic Diet. Admittedly, I took on the experiment with a somewhat flippant attitude. 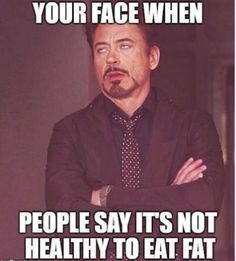 I would joke about my “guinea pig” adventure with a new diet, making sarcastic jabs about keto cliché’s and my new, suddenly serious food restrictions. Although most of my friends were initially intrigued, my cheeky chatter between meals about adjusting my eating habits made it permissible for them to indulge in a similar fashion. 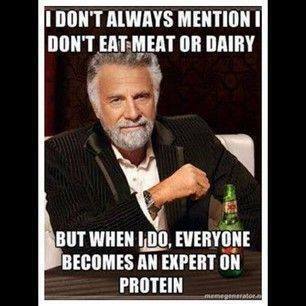 Many of them now felt it was okay to ridicule my dietary restrictions with sarcasm and cruel comments. Having the exploratory mindset that I did at the time, these little quips didn’t really bother me—until they did. Being so glib about my new approach to grub, I hadn’t yet considered the offence I may have been unintentionally handing out to people everywhere with my “harmless” jokes about dieting. 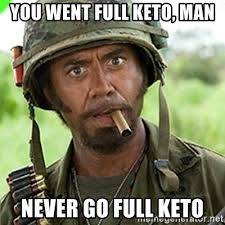 I still wonder why I took on this attitude when starting keto. Deflection? Embarrassment? Was it a pre-emptive discrediting of “diet-culture” acting as a safety net for my potential failure? 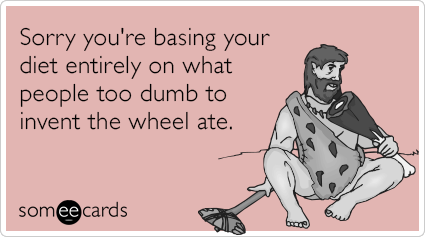 In the end, I can only conclude it was because of my own scorn toward others’ diet decisions. 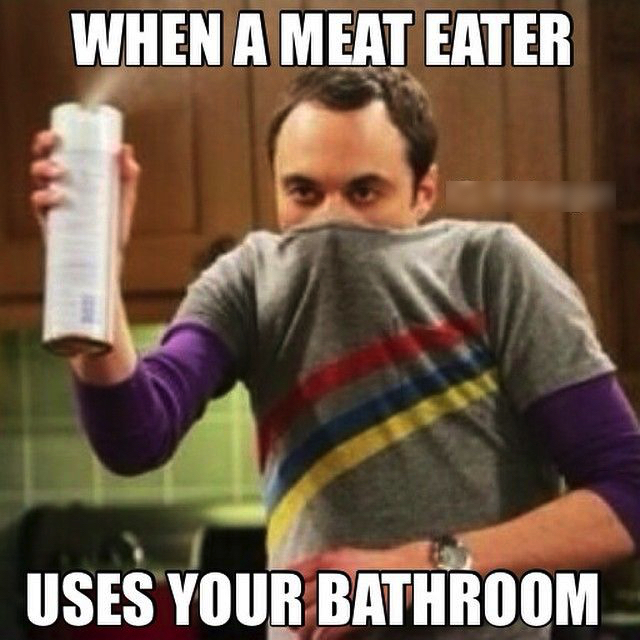 Until that point, I hadn’t realized how I had been subtly ridiculing vegans and vegetarians for years—for no reason other than my own insecurities and misunderstanding. I began noticing comments from people ranging from the fascinated to the blatantly critical. A friend at a party told me about an article she read claiming that people who eat low-carb diets have a lower life expectancy. “Something to consider,” she concluded, with a tone that implied some sort of dietary supremacy. Increasingly, I noticed that people’s comments about my refusal to eat carbohydrates were sounding more condescending than kind. Another friend asked me if I was “still on my dumb diet,” one day after offering me part of her lunch. As my weight dropped and my energy levels increased, I gradually became defensive of my new diet, becoming tiresome of regurgitated Reddit opinions from “well-read” friends who were apparently very concerned about my kidneys. As I politely declined one French fry after another, I began to see the blind spot that shrouded my respect for people’s diet decisions. For anyone familiar with what it entails, it goes without saying that a Ketogenic diet is pretty much the opposite of an ethical decision to make when it comes to animal rights. 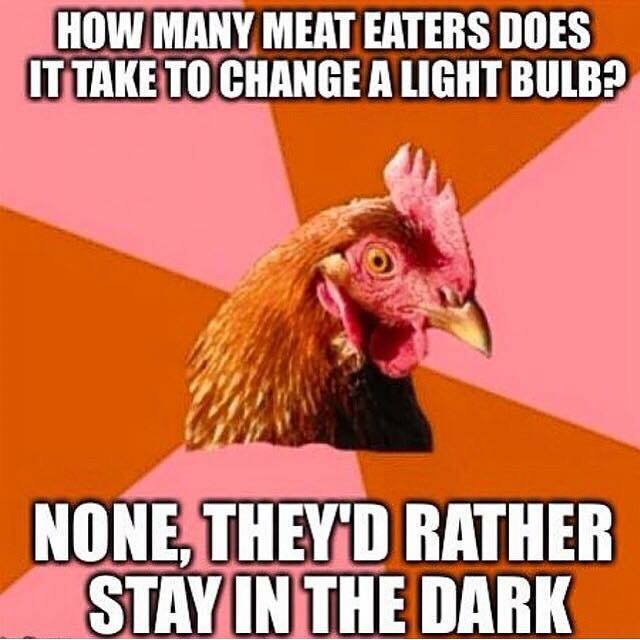 For this reason, I was surprised when it turned out to be vegans and vegetarians who seemed to be the most considerate surrounding my keto journey. After having a few enlightening conversations with these individuals, it became clear to me that they’d been navigating through life having to tolerate the scrutiny of others based on what they ate. Subtle comments. Accidental offerings of food that didn’t always feel so accidental. Overzealous apologies for not preparing you a specific meal. These were the types of exchanges I was now experiencing doing keto: Same discrimination, different diet. An awareness began surfacing inside me, and I began questioning my conduct, past and present. The opportunity to express oneself is limitless on the internet. Among the benefits of having access to a wealth of easily shared information, the freedom to empower one’s own identity has been especially transformative in how we present and organize ourselves. It has created a network for marginalized groups and provided a platform for people to express themselves in meaningful and effective ways. Unfortunately, that same freedom has not only allowed harmful and hateful ideas to spread, but it has also enhanced conflicts and created more division among individuals pertaining to their ideals. 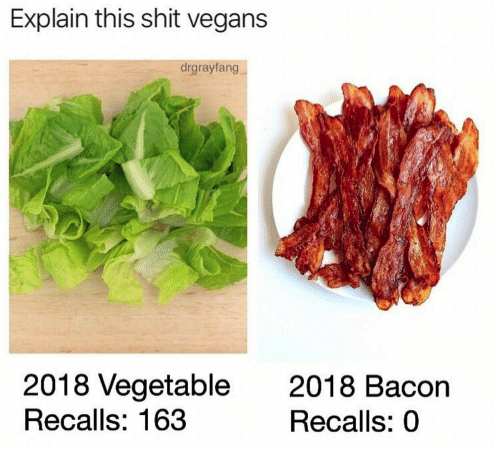 I remember first noticing the Diet Wars after seeing a meme related to a meat recall put in place sometime in 2018. 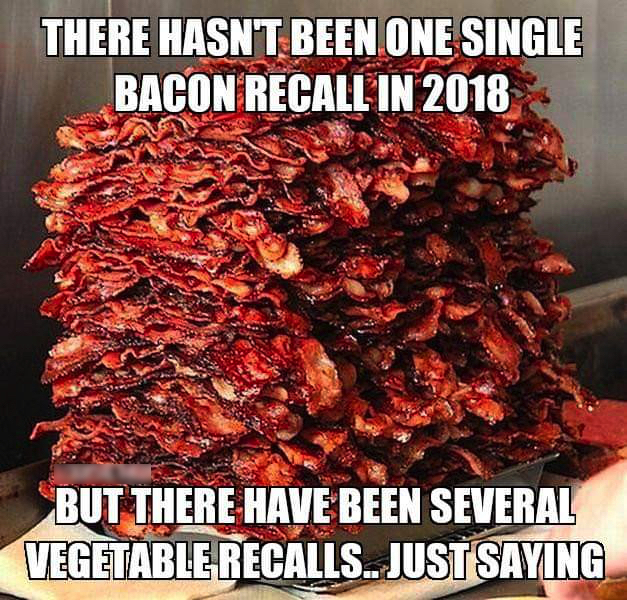 The top image displayed a horrid, bloody, and sloppy looking package of ground beef that said “MEAT RECALL 2018.” Directly below, it said, “Vegans just be sittin’ here all…” with an image of a healthy, happy looking couple surrounded by lettuce, greens, and vegetables. Regardless of the meme’s effectiveness, or even its message of a superior diet, the part I found interesting was the line it seemed to draw in the sand. While I can safely say I’ve seen and encountered far more mockery and derision directed at plant-based diets, this specific sort of backlash against such discrimination essentially gives life to a new, identity-based hostility. A back and forth between “groups” separated only by their diet choices. Ethics aside, the Diet Wars are a mostly unnecessary social skirmish, dividing people based on their preferences, whatever their reasons may be for having them. It wasn’t long until the lettuce was recalled, and perhaps predictably, the carnivores arrived with their cavalry of rebuttals aimed at vegans for their (distastefully coined) “ideological eating disorder.” Lifestyle choices related to food are now becoming more than just categorical, they’re also becoming combative. I probably don’t need to explain how harmful it is to alienate people who don’t live the same way you do, and although the implications behind a Diet War may prove to be inconsequential, I feel that this mentality leads to more misunderstandings. Judgment is being manufactured. Enemies are being identified. Trenches are being dug. Raymond Wade is a creative writing student, musician and restroom critic. His blog The Latrine Scene takes an investigative approach to reviewing public bathrooms all over British Columbia. In combination with his digital media experience (MS Paint ‘95), Raymond enjoys contributing a variety of content to The Nav—often employing a comedic tone on the topics he covers.